A classic two-ingredient brunch cocktail gets a seasonal make over for a bold pink color and fruity flavor. 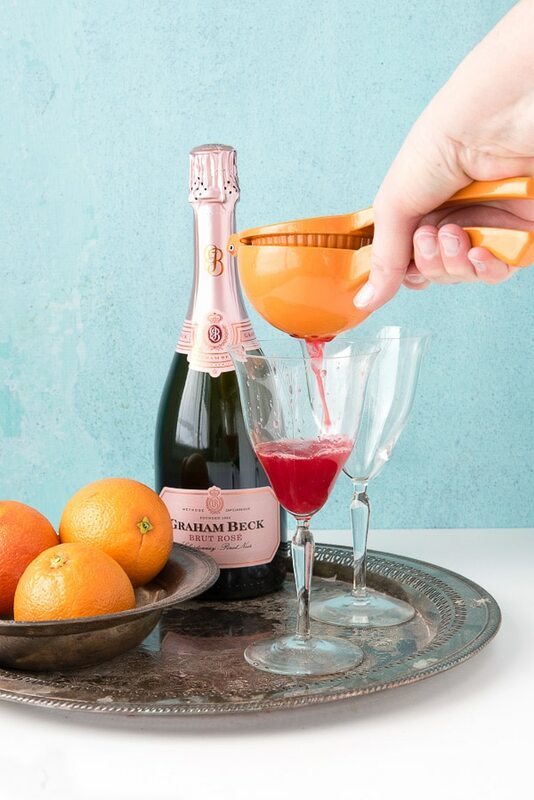 Blood Orange Mimosas are as easy to make that their original counterpart but are stepped up with freshly squeezed blood orange juice and rose champagne! 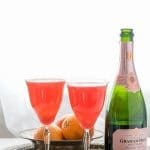 Whether celebrating Valentine’s Day, Chinese New Year, Mardi Gras (all jammed together at this time of year) or a nice brunch, Blood Orange Mimosas are a seasonal way to change up traditional mimosas, the classic brunch cocktail. I love the deep color and sweet flavor of blood oranges. 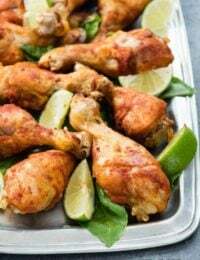 Pairing them with a rosé sparkling wine or pink champagne is a fun change and one that fits the holidays too. 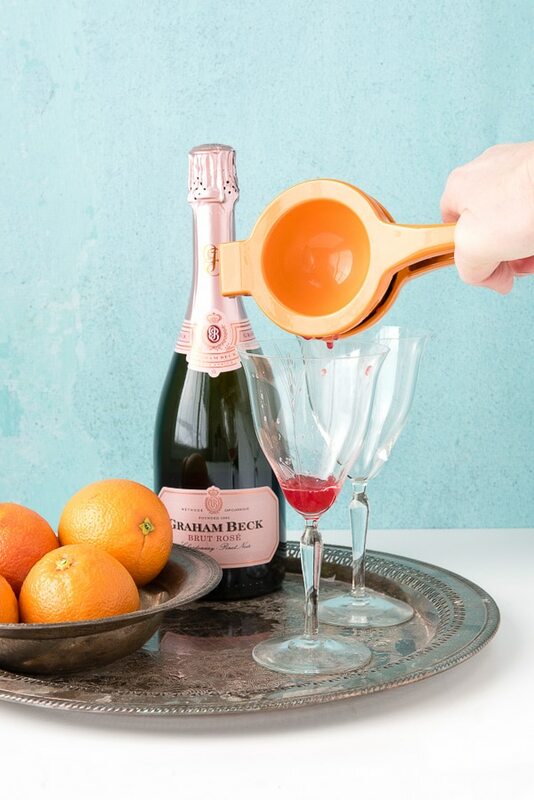 What is a Mimosa cocktail and Why is it THE ‘brunch cocktail’? A mimosa is a simple cocktail made of equal parts of orange juice and champagne. It’s a classic brunch cocktail due to being able to be made quickly, per cocktail or in a pitcher, and its light flavors pair well with most breakfast dishes. Light and fruity compared to its biggest competition, the Bloody Mary, which is a heavier, spicy tomato cocktail. ‘P.S.’ You can drink it anytime, not just for brunch! Blood oranges have a less acidic, slightly sweeter flavor than their navel orange counterparts. 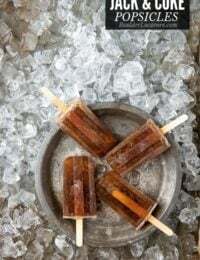 Their flavor almost has light berries notes such as a hint of raspberry along with the orange flavor. They have a deep red flesh, giving them their name, which creates the beautiful ruby hue of this mimosa brunch cocktail. Most of what is called ‘champagne’ is actually technically sparkling wine. Fizzy wine can only be called champagne if it is produced in the Champagne region of France. All other sparking wines made in the champagne method must be called ‘sparkling wine’ (or sometimes regional names such as Cava, from Spain). 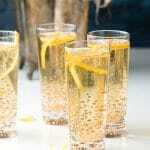 Any sparkling wine may be used in a mimosa. 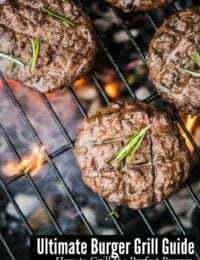 This recipe uses a rose sparkling wine. What type of Champagne or Sparkling Wine can I use to make a Mimosa; does it have to be expensive or can I use the cheap stuff? 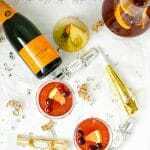 Readers have asked my opinion on champagne and liquor quality levels for mixed boozy punches and champagne cocktails before so I’m going to share my thoughts here. 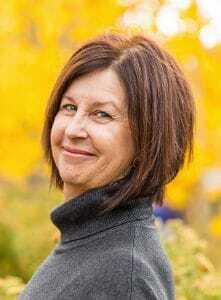 I personally believe you should buy the best for your budget whenever possible. Just because it’s a mixed drink, doesn’t mean the cheapest stuff available is the best choice both flavor and candidly hangover potential. Having said that, one of my all-time favorite champs is Veuve Cliquot and I would not shell out to use that in a mimosa. There is a middle ground with all the varieties of champagne and sparkling wines available so choose what you love and what you feel comfortable spending. Consulting at your local liquor store is a great way to find brands you may never have known about that are a great price and quality. I have found some of the best options through those ‘could you give me some advice’ chats. Mimosa’s always taste best with freshly squeezed orange juice and that’s the only way to make them when using blood oranges. 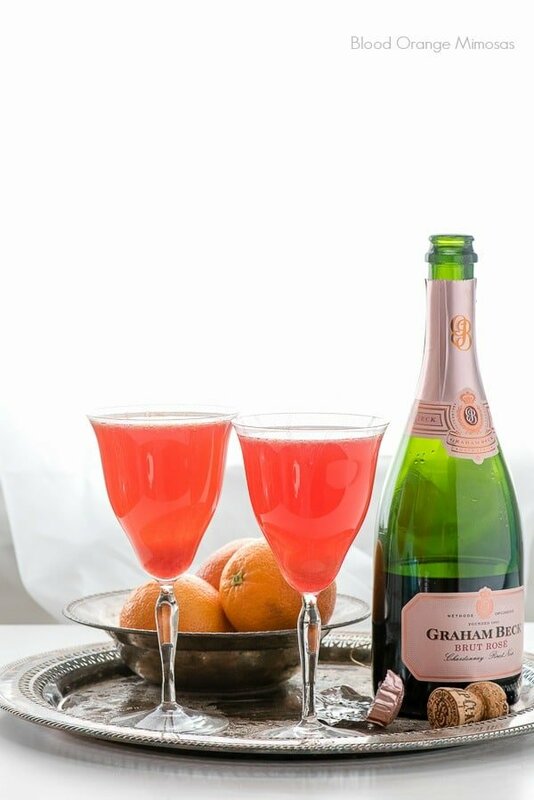 Blood oranges are juiced, added to champagne flutes and filled with rose sparkling wine. The recipe instructions below guide for making individual servings or a full pitcher. To extract the most possible juice from the orange, place it in the microwave (whole) for 10 seconds before juicing it. Also I always use the handheld orange juicer shown in the photos and find placing a halved orange in the juicer with the rounded side seated in the rounded side of the juice for a first juicing, then flipping the orange so the flesh side faces the rounded side for a second juicing extracts additional juice. 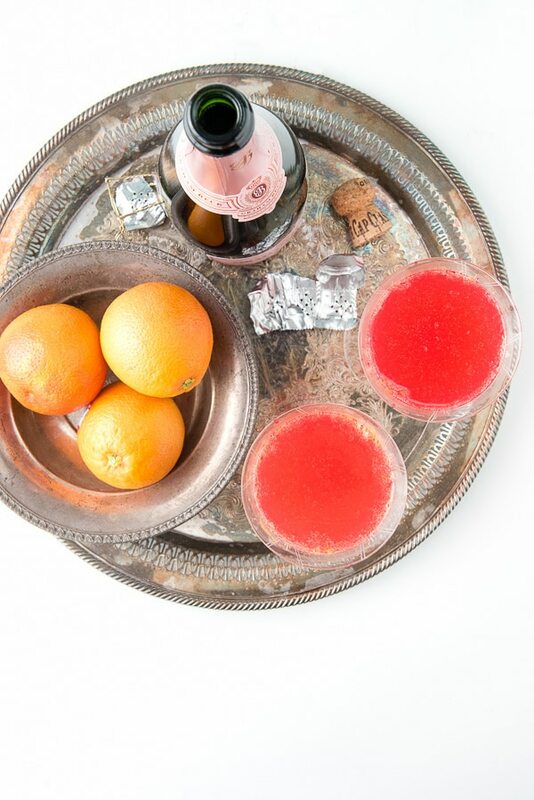 These Blood Orange Mimosas are approximately one third juice and the rest champagne. You can find the balance that best suits your palate. 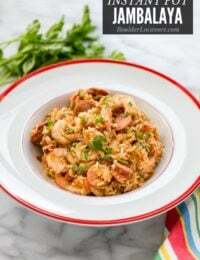 The number of servings in the recipe utilizes the entire bottle of champagne. You can of course save some for later if you choose! 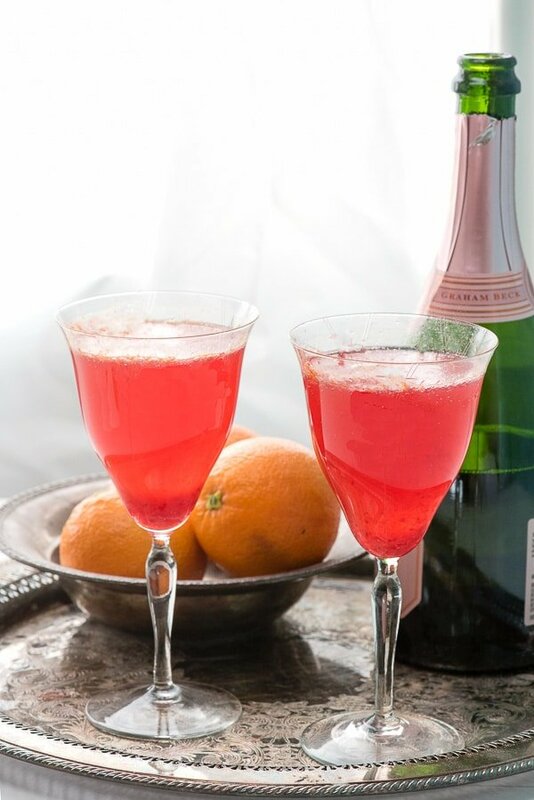 If you’ve tried these Blood Orange Mimosas or any other recipe on BoulderLocavore.com please don’t forget to rate the recipe and let me know where you found it in the comments below, I love hearing from you! 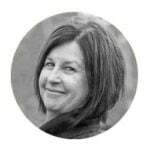 You can also FOLLOW ME FACEBOOK, TWITTER, INSTAGRAM and PINTEREST to see more delicious food and what I’m up to! 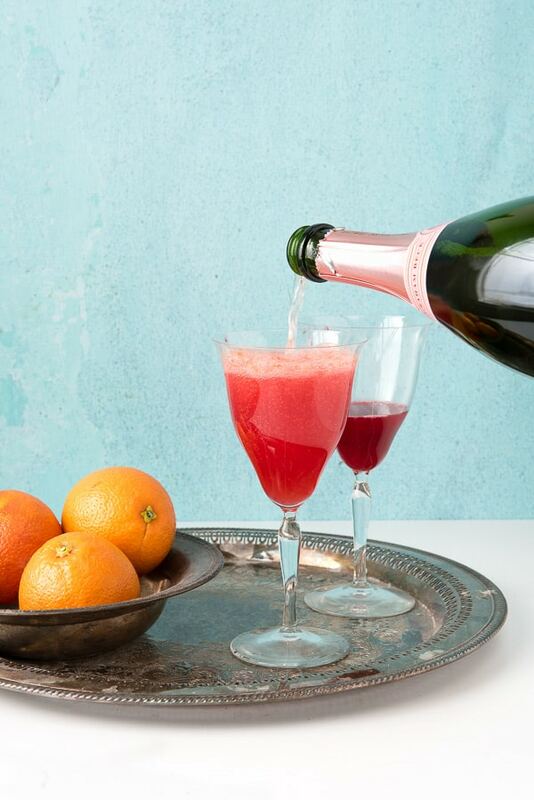 Blood Orange Mimosas are a seasonal spin on the classic brunch cocktail. 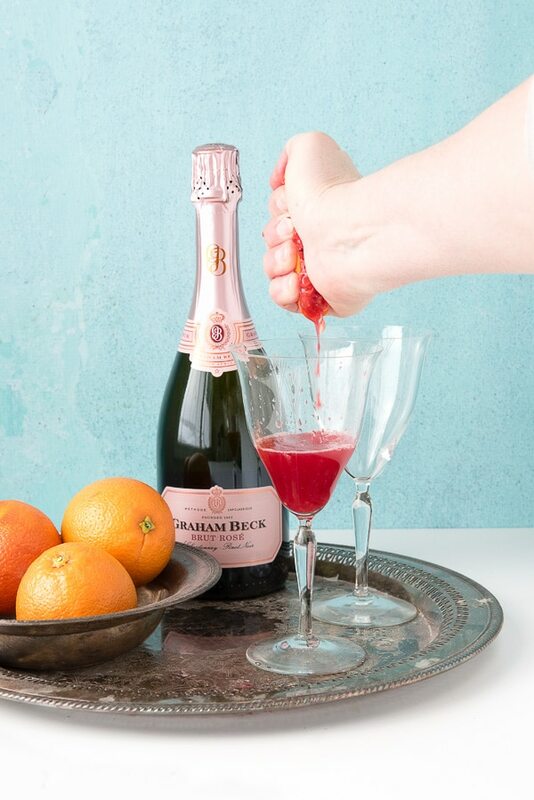 Freshly juiced blood oranges paired with rose champagne or sparkiling wine are a bold pink cocktail great for celebrating! Oranges may be juiced individually per mimosa or into a pitcher for easy mixing. 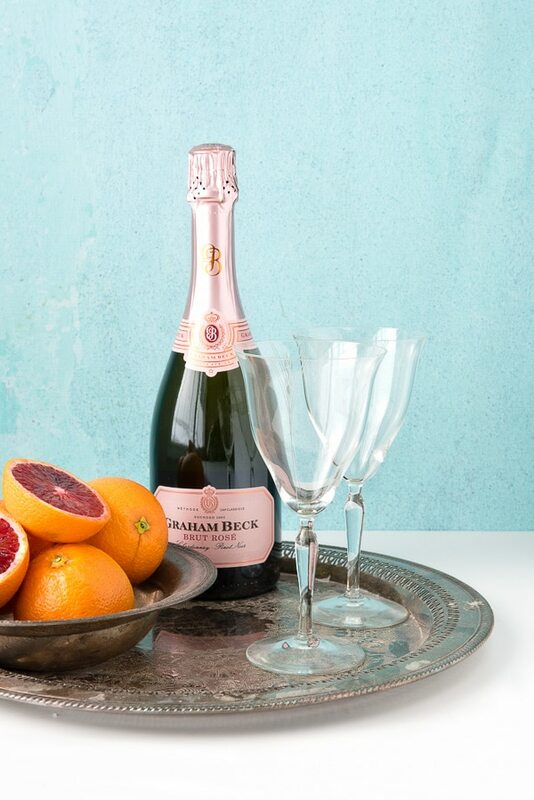 Per champagne flute: add the juice of one Blood Orange (2 ounces) to a standard 5 ounce champagne flute and fill with rose champagne. 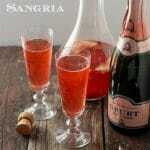 For pitcher: juice 8 blood oranges and mix with the 750ml bottle of champagne. Pretty visuals of the mimosas! 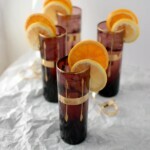 I love blood oranges and in a mimosas looks delish! Mimosas are definitely perfect for brunch and I love them because they’re easy to make. I love your tips about getting more juice out of fruits like blood oranges. 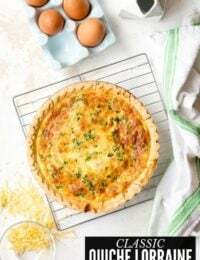 I’d love to make these whenever I’m having friends over for brunch! Blood oranges go so well with mimosas. I think it’s a refreshing drink for brunch and I agree that mimosas go with pretty much everything that’s served during that time. Microwaving the blood oranges is a good tip! 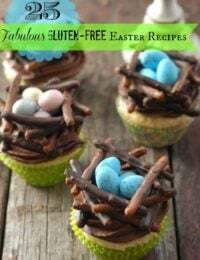 I can’t wait to make some this weekend! I love making mimosas for bunch!